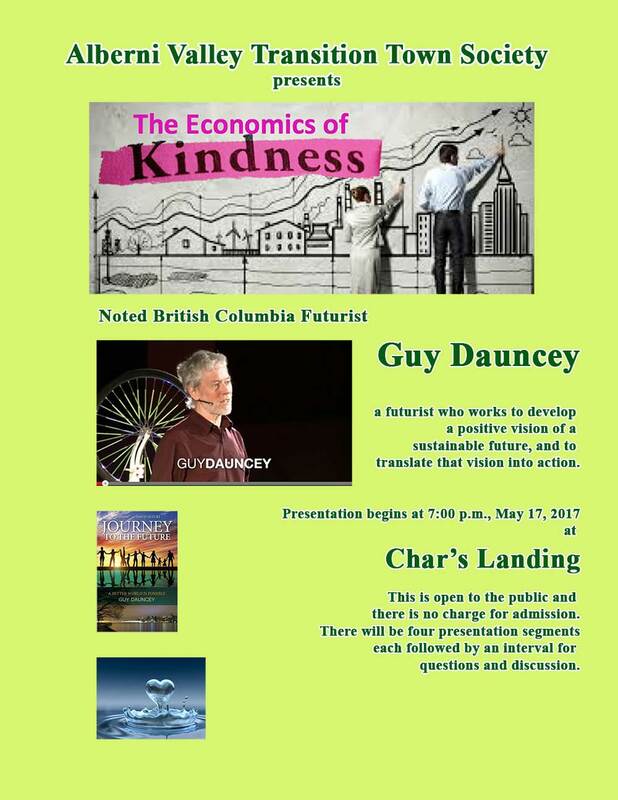 Guy Dauncey will be joining us for a presentation on the Economics of Kindness, modelling an alternate view on the generation and distribution of society’s resources. The presentation will be divided into four parts, each followed by an interval for questions, comments and reflections. As usual, we will convene at Char’s Landing with the presentation beginning at 7:00 p.m., so come early and enjoy something from the bar and a little pre-Guy conversation. Guy will have copies of his print materials for sale. There is no admission charge, but the “spittoon” will be available for those wishing to make a contribution to help defray expenses (rent and publicity-Guy has graciously agreed to speak without a fee). 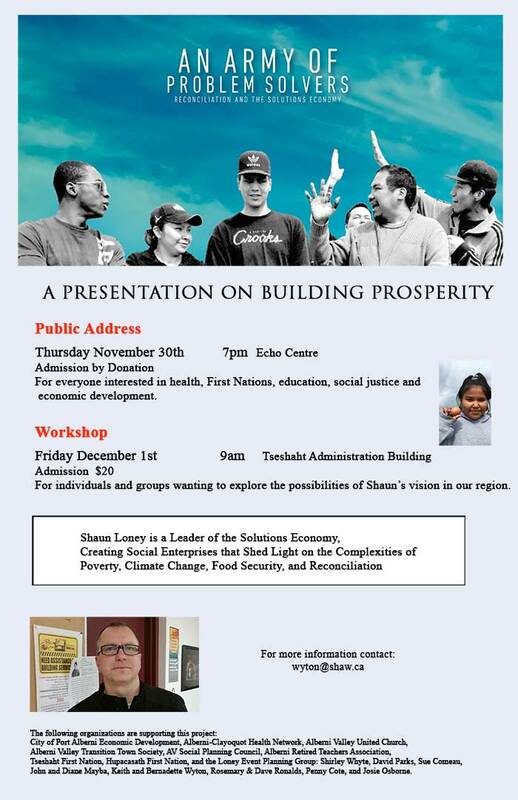 If you have any sense that our current economic model may not be serving the general public good, this should be a stimulating talk and discussion!